High-performance blowers are a critical aspect of keeping a plant or factory running; smaller and more compact options are also useful in the average family home. These types of blowers ensure that air can move continuously while maintaining an energy-efficient level of operation. Pelonis Technologies has been a leading manufacturer of high-quality heating and cooling solutions for over 25 years. In addition to our technical expertise, our success can be attributed to our unmatched customer service. To provide a better online experience for our customers, our team has launched a new company website. 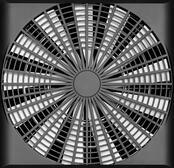 Are you looking for a cooling fan for your industrial operation? We’re in the business of helping to answer the numerous questions that develop when it comes time to choose a new fan or blower. Here are a few of the most common questions we get from people at this point in the decision making process. How much heat am I generating? In order to determine the airflow that is needed to cool the system you must conduct a thermal analysis. The origin and amount of heat generated inside a piece of equipment or during a process is measured by using one or a combination of six different types of sensors and other devices. Data delivered from these sensors can indicate where heat problems exist while helping to map the necessary airflow to provide cooling. Once the amount of airflow is determined, the cooling air path is mapped using sensors and software to ensure that all major sources of heat receive the air required to adequately cool them. Ball bearings and sleeve bearings are used extensively in DC fan manufacturing to provide effective cooling solutions. 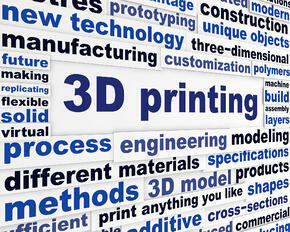 Both have advantages and disadvantages all of which should be considered in the design application phase. Most ball bearing fans operate for approximately 50,000 hours or more. A conventional sleeve fan will operate for more than 30,000 hours. 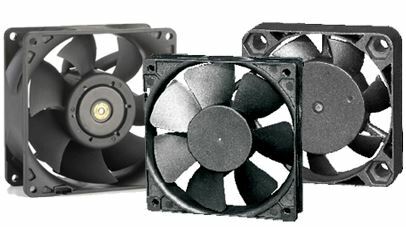 There are a variety of factors that determine the overall life of a fan such as ambient temperature, fan mounting position, amount of friction, and bearing lubrication used. 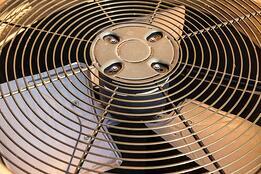 Under some conditions ball bearing fans and sleeve bearing fans have comparable life spans. However, when ambient temperatures or friction increase, or when mounted in a non-vertical position, the life of sleeve bearing fans decreases significantly. Sleeve bearings have broad line-contact between the shaft and bearing during the back-and-forth sliding motion which generates more friction than the point contact of ball bearings. The biggest factor facing the longevity and efficiency of cooling fan motors inevitably concerns the ability of equipment to handle demands of friction and heat stress. A cooling dc fan motor could theoretically be in operation around the clock and in place for a longer overall lifespan than most other industrial equipment. Finding the right balance of power and cooling ability, counterpoised by energy efficiency and maintenance cost are key. 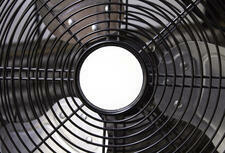 It can be a daunting task, especially if the fan is responsible for cooling critical equipment. But, by following the steps below, you can be confident that you’ve made the right choice. As in the U.S., the European manufacturing industry suffered deep consequences as a result of the recession of 2008. Construction projects slowed or came to a complete halt, which hurt all sectors of the industry, including the market for fans, blowers, and heating elements. According to some reports, however, the fan and blower industry seems poised for a comeback, which is welcome news for workers, manufacturers and customers in Europe and beyond. Automation is now a buzz word and hot technology trend in both the consumer and manufacturing worlds, so it is interesting to consider how various motion controls would work in a fully integrated and automated society. To what degree could every aspect of a home’s HVAC and appliances be operated via intelligent controls, and to what extent could a manufacturing environment be controlled by smart automation? The use of Intelligent Motion Controls in DC brushless fans and blowers has already arrived. With Intelligent Motion Controls, the movement of air is now smarter. The inclusion of full-wave-in-board circuit design and multiple features leaves no doubt that intelligence has enhanced air movement. To the beer enthusiast, especially during football season, there are few things better than an ice cold brew at your favorite restaurant. While we can appreciate any kind of beer, at Pelonis, our focus is on high-end beer dispensing equipment.